Rooster Rush was established in 2015 in an effort to draw cutting horses back into the midwest. The top three open cutting horses flocked to Iowa for the National Cutting Horse Association Rooster Rush Fall Cutting Sept. 24 and 25 at Rick Plendl's facility in Kingsley, Iowa. 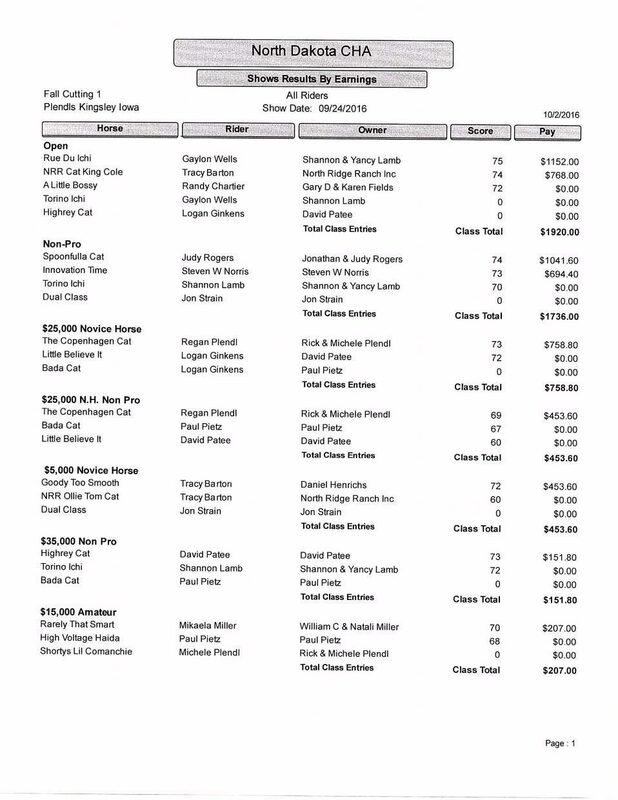 More horses and riders attended the event with categories of open, non-pro, $25,00 novice horse, $25,00 novice horse non-pro, $5,000 novice horse, $35,000 non-pro, and $15,000 amateur. Rooster Rush was started two years ago in an effort to draw more futurity horses back into the Midwest, including Iowa. Plendl offered his facilities, Tracy Barton said, and Rooster Rush decided to utilize them. 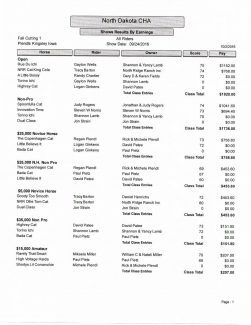 One thousand dollars was added to each the open and non-pro classes with payout to the top two competitors in each class. The event drew the top three-ranked NCHA horses: Rue Du Ichi, shown by Gaylon Wells and owned by Shannon and Yancy Lamb; NRR Cat King Cole, shown by Barton and owned by North Ridge Ranch; and A Little Bossy, shown by Randy Chartier and owned by Gary and Karen Fields. With only five competitors in the open class and four in non-pro and three in each of the other five classes, the show was mini but mighty. "It was a small but good show. 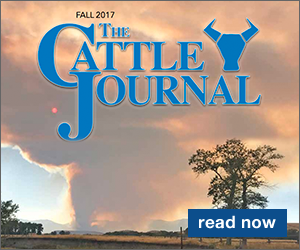 The facility was great, the footing was great, the cattle were great, the judging was good," he said. "It's sad more people didn't come to see the horses there and see Rick's great facility." With 70 points, Mikaela Miller, of Bismarck, North Dakota, won the $15,000 amateur class on her gelding Rarely That Smart, a seven-year-old. She hoped for a bigger draw at the event as well. "It was a good show, but smaller because of the added money. The competition was typical for $15,000 amateur up here," Miller said. "It's always fun to have more people or someone new in the class." Rooster Rush is an affiliate of South Dakota Cutting Horse Association started by Bob and Anita Jansson and Barton, all of Pierre, South Dakota. 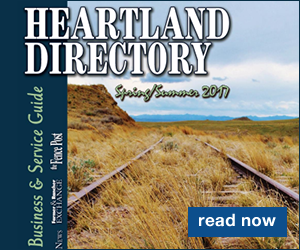 It is in its second year of operation and is named accordingly to "connect local lifestyle with what we're doing," said Barton, president of SDCHA, NCHA director of area 6, which includes North and South Dakotas and Minnesota, the vice-chair of the NCHA Open Show Committee, and chairman of Professional Trainers Committee. He shows NRR Cat King Cole, owned by Jerry and Carol Ward, of North Ridge Ranch, where many of the Rooster Rush events are hosted. Rooster Rush's main event is annually at the end of August and features eight days of cutting, $5,000 in youth scholarships, "and great cutting," Barton said. "We are doing a lot of things outside the box that most people don't do. We promote cutting, which is my livelihood and a lot of people's recreational passion. The way to have a successful show is participation, so encourage them to come and support what we're doing," he said. 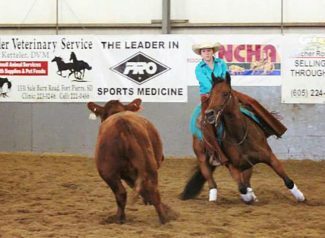 Each youth participant who shows at Rooster Rush's Limited Age Event and Futurity walks away with a scholarship. 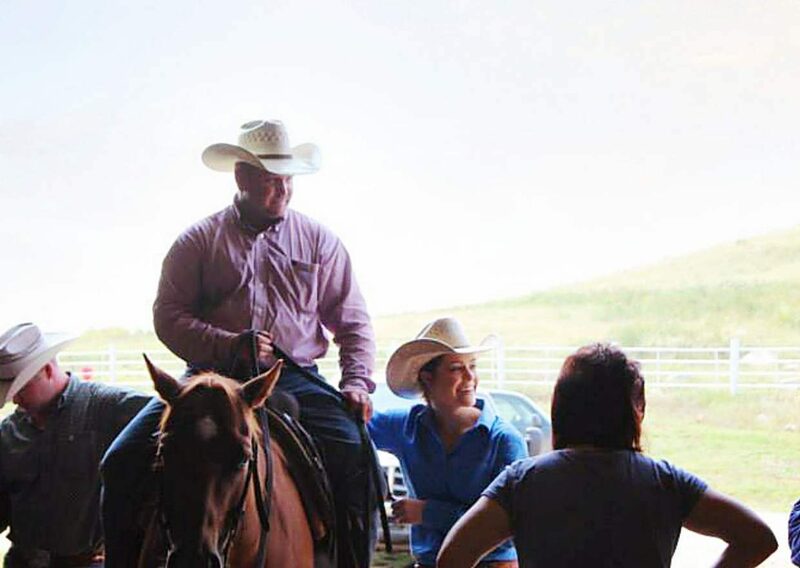 This year, 19 kids received a portion of the $5,000 donated by North Ridge Ranch. "It is such a huge thing for these kids who are guaranteed a scholarship if they come and show both days. Depending on where they place, it could be more," Barton said. "It was $1,200 to $1,500 for first. It's important that every kid that comes and shows gets a check." North Ridge Ranch is located where Dances with Wolves was filmed and has hosted 25 to 30 cuttings this year alone, Barton said. One of their stallions, NRR Cat King Cole created his own history being the first South Dakota horse to be ranked NCHA top ten. The nine-year-old black stallion is a five-time South Dakota open champion and 23-time limited age champion. 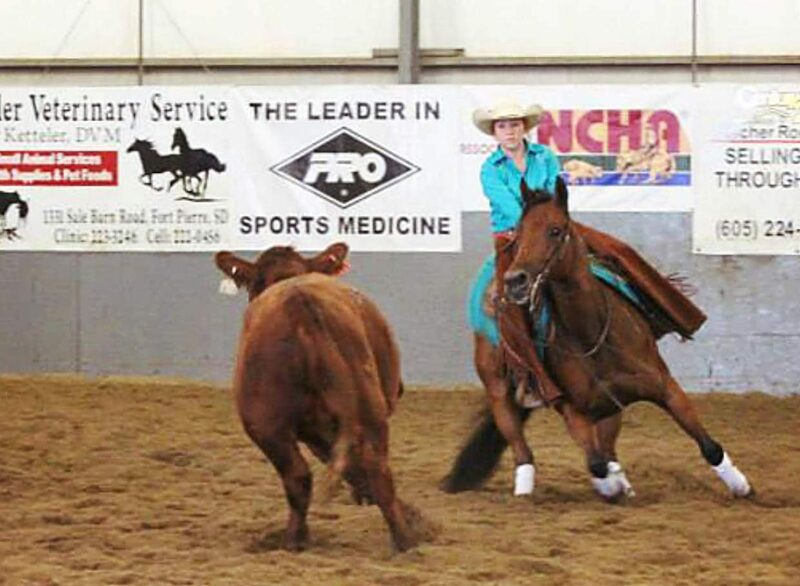 "In the history of NCHA, since 1946 when they started keeping records, this is the first horse born, raised, trained, shown, and owned in South Dakota ever to be in top 10 in the world in cutting," Barton said. "No one can ever take that away from Cole (NRR Cat King Cole). He's just a special horse. We've got a horse that lives up here that is competitive at a very high level. When we've hauled, he's competitive everywhere we've been. The love and athletic ability these horses have to have in order to be competitive is a really awesome thing." Barton said the efforts of Rooster Rush and the participants are creating new buzz within an old sport, at least in an area not know for producing cutting horses. "All these things happening in this area – a show in Iowa and another in Walcott, North Dakota Oct. 1 and 2, Rooster Rush, Cole's success – are new, exciting, and positive for the sport and as I call it outside of the box," he said. "We love to have as much support as we can to continue this and keep it growing. Jerry and Carol Ward donate their facilities, which is an awesome, awesome statement from them believing in cutting in this area. We're all doing this for the love and the passion for the horse."